 ESO Receives ‘Sirens’ Grant from Association of British Orchestras for Performance of Music by Historic Women Composers. We are extremely proud and pleased to be selected as one of five orchestras receiving grants from the Association of British Orchestras as part of the Sirens programme for our upcoming perforomance of Vítězslava Kaprálová’s (1915-1940) ‘Partita for Piano and Strings’ at Kings Place on the 28th of April. The concert is part of Kings Place’s ‘Venus Unwrapped” series, a year long celebration of women creators in music, and is presented by the London Chamber Music Society. Additional information on the concert is available here. Sirens was established by philanthropist Diana Ambache to support performances of music by historic women composers. Our congrats to our colleagues at Chineke Foundation, the Philharmonia Orchestra, the Royal Philharmonic Orchestra and the City of Birmingham Symphony Orchestra, and our thanks to the ABO and Diana Ambache. Please join us on the 28th of April and support this important initiative . The late-nineteenth and early twentieth century, alongside the first wave of feminism, was an exciting time for women composers and musicians. Dorothy Howell had large-scale works championed at the highest level; Lili Boulanger overcame huge misogyny to win the Prix de Rome; musicians of the calibre of Vítězslava Kaprálová and Avril Coleridge-Taylor conducted and wrote for symphony orchestras including the Czech Philharmonic and the London Symphony Orchestra. The arts were considered vital to feminism, and ‘the muses’ looked set to become fully accepted as ‘the creators’. Yet their music is little-known and rarely performed today. Avril Coleridge-Taylor (1903-1998) was the daughter of Samuel Coleridge-Taylor and Jessie Walmisley who met as students at the RCM. Avril – who later wrote this work under the male pseudonym Peter Riley – won a scholarship to Trinity College of Music in 1915, where she studied composition with Gordon Jacob. She wrote several short orchestral works including Sussex Landscape Op 27, an expansive twelve-minute work for large orchestra. The score is prefaced by a poem by John Drinkwater, “Into your Sussex quietness I came…”. Birmingham-born Dorothy Howell (1898-1982) had her piece Lamia premiered at the 1919 Proms conducted by Sir Henry Wood, who championed her, but her music was subsequently lost from the repertoire. 2019 also marks the 150th anniversary of Wood’s birth and the start of the CBSO’s centenary period, and so in celebration of these anniversaries the CBSO will perform Lamia in Birmingham and at the BBC Proms under the baton of Mirga Gražinytė-Tyla. Howell’s music was previously supported by the Sirens fund in a research project with Southbank Sinfonia. Vítězslava Kaprálová’s produced a remarkable body of composition during her short life (1915-1940). Born in Brno, she was a highly accomplished musician, studying with Václav Talich and conducting the Czech Philharmonic at the age of just 22. Her Partita for Piano and Strings was written during wartime exile in France and was shaped, in part, by her studies with Bohuslav Martinů who fell madly in love with her. Virtuosic and highly contrapuntal outer movements driven by march and dance rhythms frame a slow movement of great lyricism. Lili Boulanger is another woman composer of the early twentieth century who died tragically young, what would she have gone on to write if she had lived? The first female winner of the Prix de Rome composition prize, her arrestingly mature, powerful work ‘D’un soir triste’ was completed at the end of WWI, and is an expression of how deeply affected Boulanger was by the tragedy of war. Grace Williams (1906-1977) wrote her highly original symphonic poem Penillion for the National Youth Orchestra of Wales, and it was recorded in 1972 by the RPO with Sir Charles Groves. The music incorporates the metrical and melodic characteristics of traditional Welsh penillion singing – a vocal improvisation by a singer or small choir over a melody played by the harp, and shows the influence of Bartók, Kodály, and Vaughan Williams with whom she studied. The ABO Trust received a generous gift from Diana Ambache in 2016 to run a new fund, Sirens, which aims to raise awareness and appreciation of the music written by historical women from around the world. Annual grants will be allocated according to the range and value of each project. Each year over 10 years up to £19,000 will be shared between 4 to 5 projects for concerts, tours, recordings and education work deemed to be doing most to advance and promote the understanding of music by women. To date the scheme has supported performances of works by Germaine Tailleferre, Cécile Chaminade and Dorothy Howell and Maria Antonia Walpurgis. Orchestras are encouraged to use The Women of Note website as a resource, which lists orchestral music by historical women composers. The awards panel for the current round comprised Diana Ambache, Helen Wallace, Kings Place, Edwina Wolstencroft, BBC Radio 3, Philip Cashian, composer, and Fiona Harvey, ABO.